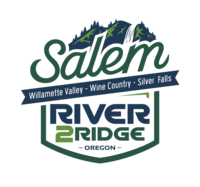 Come join us in Salem Oregon for the Salem River 2 Ridge Relay. The event will take you through the scenic Willamette Valley as you paddle, bike, and run your way up to Silver Falls State Park at the foothills of the Cascade Mountain Range. Pass vineyards, forest, and amazing water falls along the route.